Reblogged this on Endo Invisible. I am a patient, so if my terminology is incorrect, please forgive me. If as you say abdominal wall endo is a “by-product” so to speak of c-sections, does this lend evidence to the theory that endometriosis can spread? Great question! I think of abdominal wall endometriosis as an entirely different disease than peritoneal disease. Typical endometriosis, or peritoneal endometriosis, is most likely laid down at the time of embryogenesis (while one is forming as an embryo), and does not spread. It may develop over time, or there may be unresected disease after surgery, however. Abdominal wall endometriosis is something different – it is generally caused by placement of actual tissue from the inside of the uterus into a skin incision, leading to an implant of endometrial cells. It looks a lot if not identical to peritoneal endometriosis under a microscope. Both diseases are best treated by resection, or cutting them out. 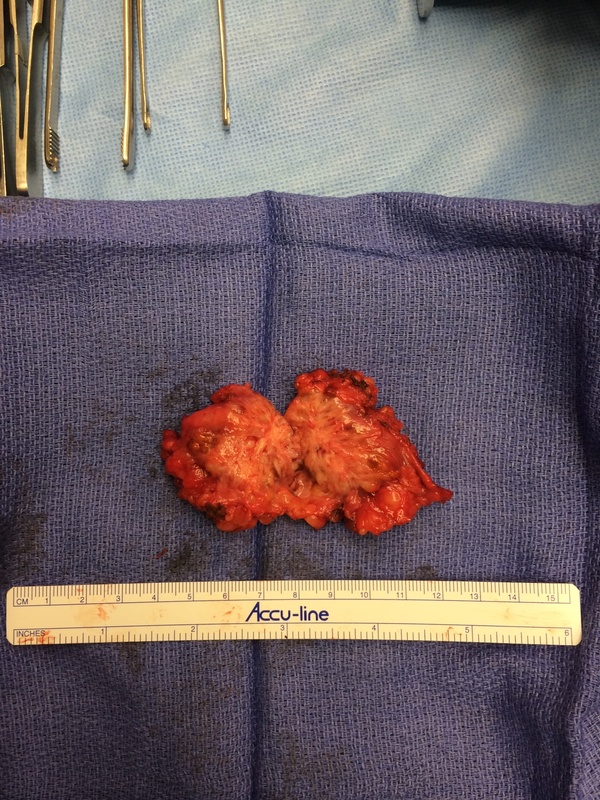 The problem with abdominal wall disease is that unlike the peritoneum, the abdominal wall doesn’t grow back after you cut it out, leading to the need for complex surgical technique for removal of large lesions. Tiffany – I live in Illinois too and was diagnosed with AWE earlier this year by a general surgeon (after my OB/GYN and my regular physician failed to correctly diagnose the problem). I had a c-section almost 4 years ago, but first had the pain last fall after getting back into running. Mine is about the same size as yours. I am having surgery for it next week (wish I could avoid it, but don’t want it to keep growing). My surgeon says he sees 2-3 cases per year. Hi AJ, what type of surgeon did you go with? 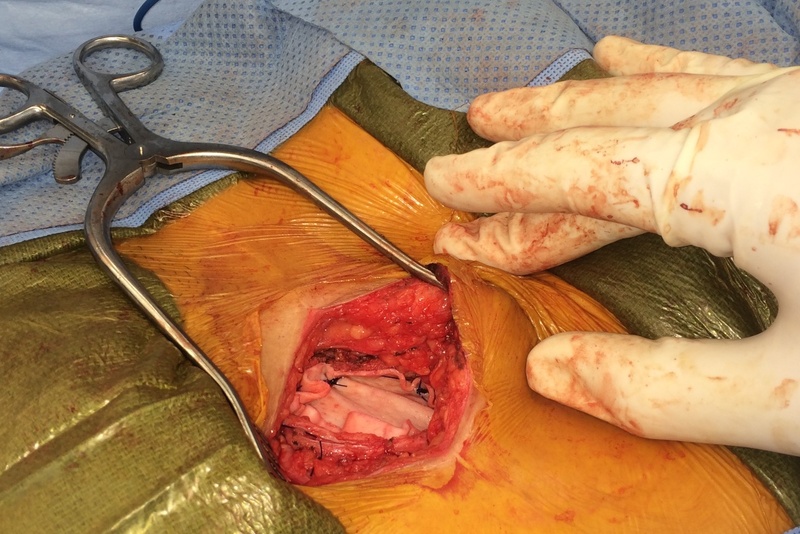 I am confused at to whether excision of abdominal wall endo is best taken care of by an gyn surgeon or whether the complexity of the mesh reconstruction makes it best suited for a general surgeon. I had a caesarean section in 2010 and from the time menses restarted some 10 months later I became aware of abdominal pain during menses and ovulation, although due to the 3 weeks out of 4 nature of my pain ( from ovulating until a few days after bleeding stopped). I attended my GP who identified a mass the size of a grain of rice and referred me for USS. The mass by the time of USS was 1cm x 2cm and was a ‘ hypoechoic mass’. I was then referred to a general surgeon who attempted to excise the mass under local anaesthetic. This failed due to how much the mass had grown, however he was able to obtain a biopsy. When he took the biopsy the mass bust and when he saw the brown fluid contained within he identified it as endometriosis and referred me to gynae. My gynaecologist was also the person who performed my c section and agreed from the history that this was a case of secondary endometriosis. He offered me excision surgery or treatment with continuous birth control. I opted for continuous birth control initially. Two years on I decided that surgery would be the only option left for me. Despite ” The Pill”, my endometrioma had grown. It now felt to be about 5cm x 4cm and was becoming debilitating. On 29th April this year I underwent excision surgery and had a Mirena IUD inserted. I’m less than 4 weeks post surgery, however I’m already enjoying a progressive recovery. I’ve had no pain whatsoever from the site of my endometrioma, only groin pain and nerve pai, presumably from nerve damage, which I am hoping will resolve in time. I feel very lucky to have had such an understanding and knowledgeable set of doctors caring for me, I could still be suffering now. I suffered from this for almost 5 years (after my second cesarean). I was seen multiple time with multiple exams by multiple doctors. Ultrasounds, mri, X-ray, I even had a hysterectomy. Over and over again I told them what I thought it was. Nobody would listen. I finally got the surgery I needed a month ago. I am so very thankful that I do not have to live with that pain anymore!!! Oh my dear Doctor I sure wish I was in the Portland area. This article is excellent and I will print it for my surgical visit on the 29th to help me out. I’ve been dealing with this for 28 years. I have had endometriosis since my early 20’s I was on the Depo Lupron to help with it. My husband and I had another child around that time and the complications with the endometriosis got better for a few yrs after my son was born like the Doctor said that it would. But for other reasons I started developing cancer cells in other female parts. so I also got my uterus removed which was causing my endometriosis to kill two birds with one stone kinda thing. So I had a robotic hysterectomy in 2012. I had returned to the OB for pelvic pain that continually got worst so by 2014 a scan showed a mass in my abdominal muscle tissue that was never their before. But I never got those results from my Dr. and of course the scan was missed and the pain was placed on other pelvic diseases until they rescanned me with a CT SCAN and then a MRI. Which confirmed not one mass now but 3 large masses and some smaller ones since the 2014 scan was taken. I’m in pain that is out of this world most of the time. And now that I can get the surgery and relief is in sight. My OB is booked up for surgeries until August. Lol life is so wild. Hi! I currently live on Maui (Kaiser insurance) and have a abdominal wall endometrioma. It has been biopsied and it was in fact a chocolate cyst. Neither the gyn nor the general surgeon have removed one before but are wanting to do this procedure. I think it needs to be done with someone who had experience. Is this correct thinking? Its helpful to have experience, but once the diagnosis is made the procedure can be fairly simple, as long as the lesion isn’t too big. Quite a few people have flown to our office for management of this condition, and I would be happy to help with your case as well if you are interested in coming to Portland. We cannot take Kaiser insurance, however. I have had 2 surgery’s already and even have mesh in the area and it seems as though it has come back again. The surgery’s have been a year apart and now it seems as its only lasting 6 months before the pain begins again. What can i take or do to stop it from reproducing? I’m just so upset that it’s an ongoing struggle with this. First of all thank you for the article. I’ve been diagnosed with wall endometriosis two months ago from my second cesarean in march 2015, I’ve two children and I’m worried about the possibility of having children after the surgery ?? And I want to know if another pregnancy can help with getting better or cure the case. Hello Loukia – sorry you are having this problem. Pregnancy may make the area not hurt for the period of the pregnancy, but it will have no permanent impact on the disease. What is the recovery time from surgery for this? I would like to know this too. I have another appt next week and will be bringing this up to my doctor. Very dependent on the extent of the issue and how much repair is required. Each case is different. Hi, I recently had this surgery this past August. I’ll give you a little insight on my situation before I ask my question. I’ve had 3 c sections. I noticed the mass about a year and a half ago(possibly 2 years). At first it didn’t bother me at all but while laying on my back I could tell it was something there. As time pasted I could feel it was getting bigger and then it was getting painful. I noticed the pain around a week before my cycle and it would go away a few days after my cycle went off. I brought it to my doctors attention and at first he thought it was a cyst on my ovaries after doing an ultrasound. He put me on birth control pills for 3 months and said we would monitor it. I knew it had to be After the 3 months I went back for another ultra sound. That’s when he figured out it was never my ovaries and it was this mass that was still there. He sent me over to get a CT scan done on my abdominal wall. The results came back as nothing abnormal found. I asked that the scan be reviewed again because I knew something wasn’t right. That’s when he said it could be scar tissue or endometriosis. That entire process was frustrating and the CT scan was probably unnecessary but at least he knew I wasn’t crazy. By this time I was in pain almost daily. He used about an inch and a half of my c section scar and tunneled up to the mass to remove it. He said it was invasive and the mass was all in one spot. The surgery seemed to go well and I felt good after healing. However, now I have this bulge where the mass was. It’s not painful or anything but it looks weird. The right side of my abdomen looks normal. The left side.. not so much. My questions is, is this normal and will it go away? What causes this to happen? He didn’t mention doing any type of reconstruction either. I asked my doctor and he said it may or may not. Please give me some clarity if possible. Thanks. Thank you so much for this article. I recently had mine removed, 6 days ago to be exact. I have a painful lump in the site which is not red, but somewhat firm. I’m also ovulating right now and am having similar Endometrioma pains as before so I feel not all of it is out. The ob/gyn said she removed it all and it was superficial. What has been your experience of such swelling and/or not getting it all? Once again I appreciated the light you have shed on this matter. No one believed me since my c section 2.5 yrs ago until I landed in the er and then hospital in September for 5 days due to pain and having to have a biopsy done. We need more providers to be trained in this. This is my second round with an endometrioma, took over 5 years to get this one diagnosed, its almost 3 inches long at this point, attached to bladder as seen in laparoscopic surgery I had in june of 2016, my question is im on lupron to try and get rid of this, thy dont want to do surgery until they give this a try, however I have been on the drug for 6 months now, nothing has changed for me and im still getting terrible periods and have awful pain daily, I have 6 more months of the meds, do you really think it will disappear in the last 6 months? Unfortunately no. Lupron has no long term effect on endometriosis, though it may reduce the pain of lesions while one is one the drug. If you do end up having surgery make sure the surgeon is experienced with resection of deep infiltrating endometriosis. So you are telling me Lupron will not get rid of it? Why am I on it for? All I know is it hurts constantly, they are telling me if they did the surgery it would leave a large hole and cause a big hernia, they dont seem to keen on surgery, should I be looking for a specialist in your opinion? Im in rural Pennsylvania, not a lot of options but can still look I guess? Thank you for responding! I live in vancouver,wa I read your article and bawled my eyes out last night. I called your office today and spoke to your office lady(super sweet). I want to make an appointment to come see you but I can’t because you don’t take my medical (Molina) and I have no options to change my insurance. So now I’m heart broken. I have had 4 c-sections. my first one in 2000 with my now 16 year old son and most recent in 2011 for my now 5 year old son. On 10/27/16 I had an abdominal hysterectomy with cervix and left ovary removal and I’m 4 months post op and I am in constant pain. How likely is it a lipoma is misdiagnosed as iatrogenic endometriosis and vice versa. How can it the diagnosis be confirmed. How can I decrease the nerve pain( like having internal shingles), what can I take? This is exactly my pain – internal shingles w a touch of sciatica in my abdomen. How did it all work out for you? I read this article and just cried and cried. Finally I think I may be able to get to the bottom of my pain. I am planning on showing this article to my doctor on my next visit. I’ve been trying to figure out what’s going on for two years now and it has been difficult keeping up with two little ones on top of it. Hoping this will help them to get my life back! Thank you for writing this article! 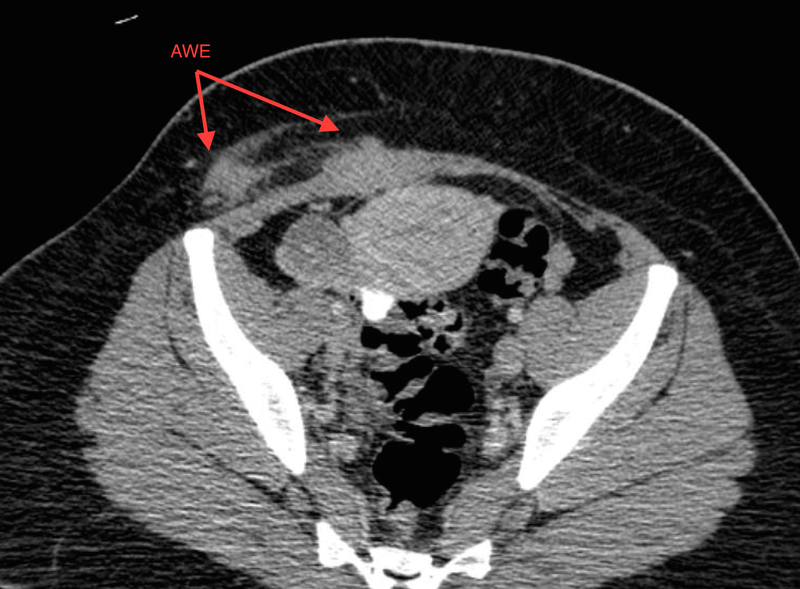 It took many doctors over 5 years and countless tests to finally diagnose my AWE. I’ve had 2 deposits taken out in the last 4 years and now the pain is back I a different area, last surgery was Sept 2016. I’m so frustrated that they keep comox g back. B/C is not helping and being 35 and have had my kids I want another option? Please help with some ideas. Hi, did you ever get your Dr to listen to you about this? I hope they did. I understand your pain 😦 My son was born in 2007 from Csection. within a few months of his birth i started having pain on my left side. I brought it up to my OB and was told just scar tissue… The pain got worse and then i started feeling this lump by my scar. It got bigger and bigger. Finally had a CT scan where it showed a mass of nearly 3 inches across. I got passed back and forth between my regular dr and my Ob before my regular dr finally just said they would send me to a surgeon to have it removed since they didn’t know what it was. I had this procedure in 2010 after 3 years of symptoms and no dr would listen to me. When it came back as the Endometrioma (which i had told both drs before i thought that was what it was) I was told then it was fixed and all was well. Only a few months after the first surgery i started getting the same pain again. It got worse and worse and was even more painful then before. I just had a 2nd surgery to have it removed Yesterday. But this time I had a totally different set of Drs. They were great and understanding. My surgeon knew exactly what i was talking about when i went to see him a month ago. He said its not uncommon for it to come back if the previous dr didn’t know what it was before hand. Because they left cells of the endo behind. Letting it grow back again. At only 1 day out from surgery I could just cry! The Pain Is GONE!!! I am sore from surgery. But to go 10 years with this pain… I am so thankful that i found a Dr who would listen and understand the issue. I hope you get relief from you pain. This is amazing to read. Pain still gone? Am due to have this procedure that you have described as I have endometriosis in the stomach muscle. I had full hysterectomy and bowel reconstruction 10 years ago, this was after having IVF with no success. I have been prescribed Anastrozole for 4 months, this is making me have hot and cold flushes, feel very nauseated or sick after having food. Am very anxious about this operation, just so fed up feeling unwell and not having any energy . Am off sick for 6 months and still no idea when the operation is scheduled to take place. Feel I have no life, not able to plan anything. My son was born in 2007 from Csection. within a few months of his birth i started having pain on my left side. I brought it up to my OB and was told just scar tissue… The pain got worse and then i started feeling this lump by my scar. It got bigger and bigger. Finally had a CT scan where it showed a mass of nearly 3 inches across. I got passed back and forth between my regular dr and my Ob before my regular dr finally just said they would send me to a surgeon to have it removed since they didn’t know what it was. I had this procedure in 2010 after 3 years of symptoms and no dr would listen to me. When it came back as the Endometrioma (which i had told both drs before i thought that was what it was) I was told then it was fixed and all was well. Only a few months after the first surgery i started getting the same pain again. It got worse and worse and was even more painful then before. I just had a 2nd surgery to have it removed Yesterday. But this time I had a totally different set of Drs. They were great and understanding. My surgeon knew exactly what i was talking about when i went to see him a month ago. He said its not uncommon for it to come back if the previous dr didn’t know what it was before hand. Because they left cells of the endo behind. Letting it grow back again. At only 1 day out from surgery I could just cry! The Pain Is GONE!!! I am sore from surgery. But to go 10 years with this pain… I am so thankful that i found a Dr who would listen and understand the issue. Donna Babbie, who are your doctors? I’ve had the surgery once and feel as though it has returned. If I decide to do this surgery again, I definitely want experienced surgeons! I had surgery for abdominal wall endo like 20 years ago with mesh insert it. ( I had 2 c-sections) Yesterday I just started having sporadic sharp pains in the exact same lower left area of my abdomen. I am 54 years old and began low-dose estrogen which has kicked me back into very light periods which I had stopped almost a year ago. Is it possible my endometrioma has come back? I just recently had an endometriosis mass surgically removed from my erectus abdominus muscle in my csection incision. I did also have a couple of small endometriosis areas on underside of my uterus and bladder, but doctor said they were “dead”, but could possibly come back. I would be interested in hearing your thoughts on taking depo lupron injections after the excision surgery . Is it necessary after having the endometriosis mass removed? 1st off, the injections are expensive. Secondly, the symptoms of the medication seem terrible. Hi, I love your dedication to this condition. My PCP, OB and surgeon didn’t seem concerned with my complaints because the lump “was likely scar tissue from my C-section”. 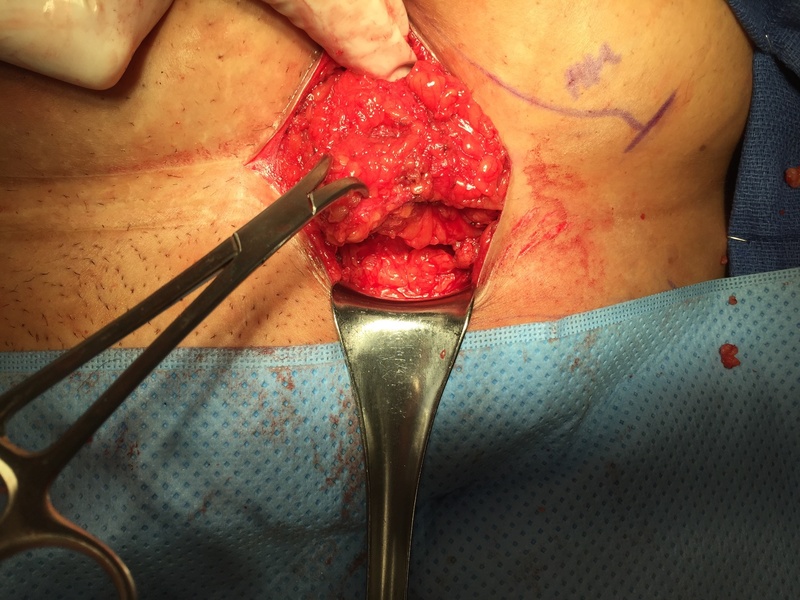 I would like your personal opinion on the likely hood of additional pelvic endometriosis after surgical removal of abdominal wall mass showing fibroadipose tissue with aggregates of benign endometrial glands and storms consistent with endometriosis. Mild, acute and chronic inflammation with no evidence of malignancy. My concern is that there may be more to this condition than just the mass that was removed and it will continue to go Unacknowledged by my Drs. Thanks again! Can you get a dignoses with a CAT scan? I think you should seek out a doctor experienced with this issue. In the vast majority of cases, it is better to remove the disease and address whatever hole remains rather than leave it in place. I’m happy to help in Portland, OR if you are in the region. So happy to be able to find some information on this condition. My last C-section was in 2005 and I developed a random sharp, stabbing pain 7 years later, an inch or two below my C-section scar. 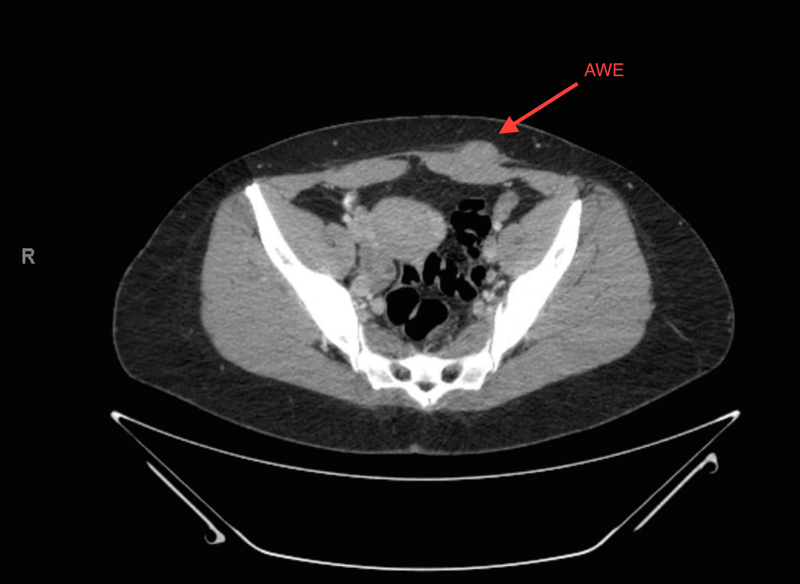 My GP couldn’t diagnose (thought maybe a hernia?) and said it was likely scar tissue and surgery would create more. I’ve finally had an MRI and the mass has grown through the lower rectus muscle and is now 5cm x 5cm and involves the entire AP thickness of the lower rectus musculature. During the worst part of the month, it’s painful just to touch the skin on my abdomen. The OBGYN thinks surgery and all the mesh required would leave me with even more problems. I am 48.5 years old and wondering if at this point I should just wait it out until menopause occurs naturally and the mass might shrink/pain subside. I’m writing from Canada, unfortunately I would have no insurance coverage to visit you in Portland. Though I can’t give you specific advice, I think that your physician’s opinion is il-informed and likely influenced by his or her inexperience with this given condition, which is understandable. With proper repair you can be symptom free and are unlikely to have any problems. I would see a general surgeon and have them cut that thing out and repair the defect. It will continue to hurt after menopause most likely. Do you have any recommendations for a surgeon with experience on abdominal wall endometrioma removal in the Denver area? Thank you in advance.